Tip of the Week 34 » Thumbs Up for a Better Takeaway – CHRISTINA RICCI MORE PARS! If you want more pars, let’s make sure your taking the club away correctly. I see too many players with an incorrect trail arm rotation into the backswing and this can begin right at set-up. Plus, I share an easy way to keep your takeaway consistent every time. So, let’s get to it! 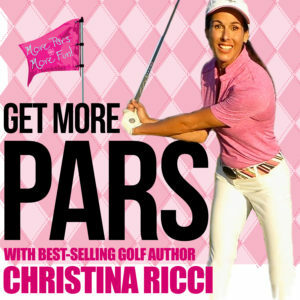 Get More Pars Training – LIVE ANYWHERE – with Christina as your More Pars Coach!